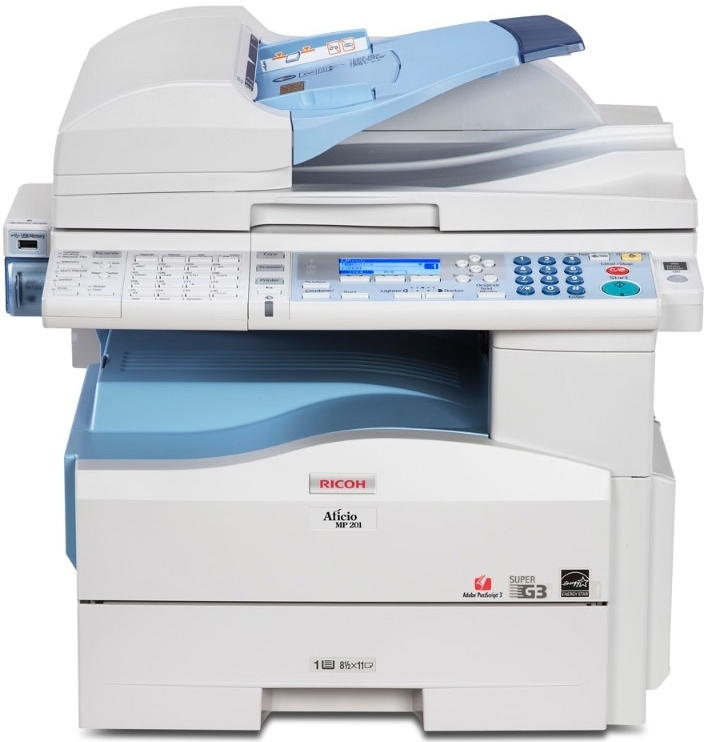 The Ricoh Aficio MP201SPF makes fast work of all your document-related tasks. 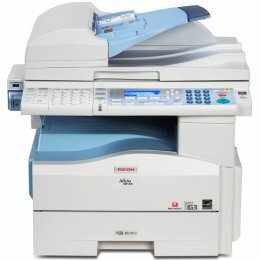 The Ricoh MP 201SPF finds smart, new ways to manage print, copy, scan and fax output which can significantly reduce costs and improve the speed and agility of your business. 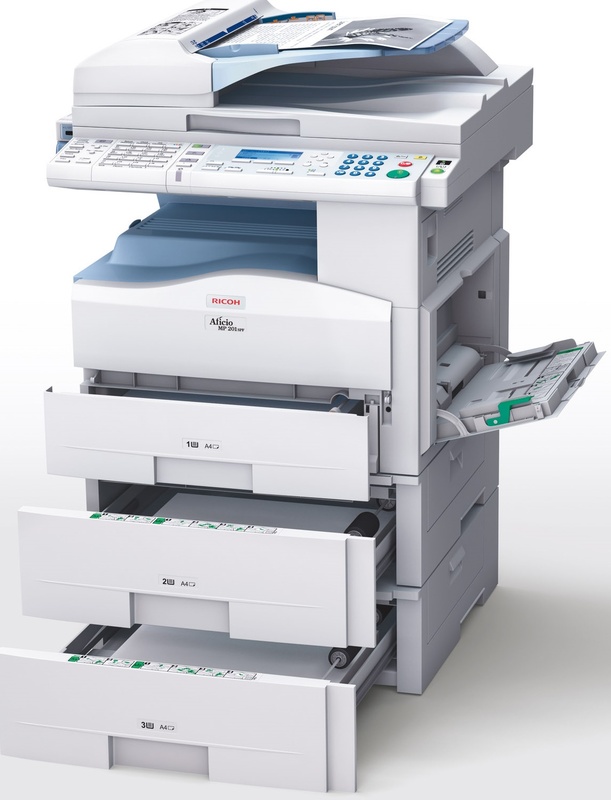 The Aficio MP-201SPF Digital Imaging System offers a variety of standard and optional management tools that give you greater control over document-related processes. Security features—such as hard drive overwriting, encryption and user authentication—provide multiple levels of protection for important documents and data. 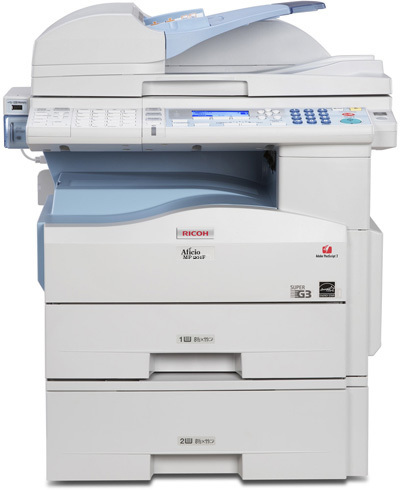 While it features a compact design, the Aficio MP 201-SPF also packs the multifunctional power and fast 21 pages-per-minute output you need to minimize cost and maximize productivity. Dimensions (W x D x H) 19.09" x 17.72" x 18.94"